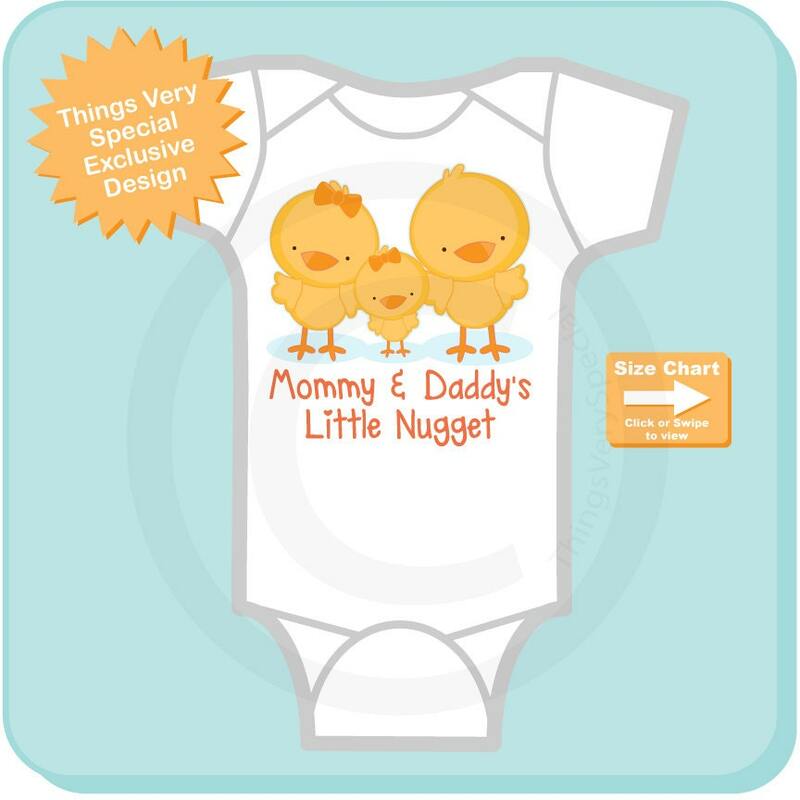 Super cute Mommy and Daddys little nugget Onesie bodysuit or Tee Shirt showing a baby chick with her parents. oh so tiny but so super cute! thank you for the fast service and look forward to future purchases! 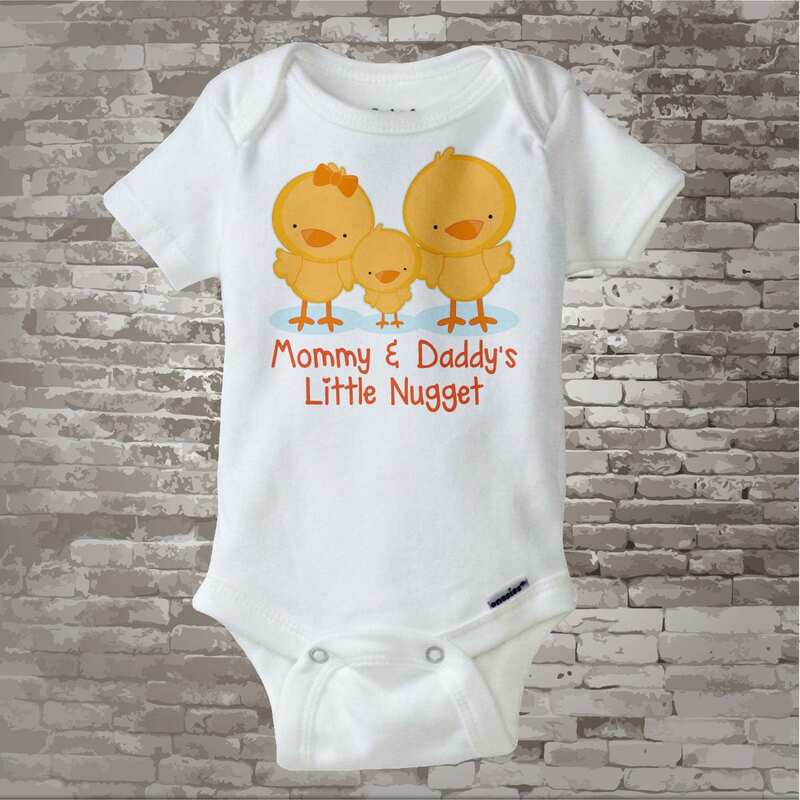 Excellent quality, great seller, fast delivery and best of all, sooooo cute! This onesie was a hit!